These highly magnified photographs of volcanic ash, taken with a scanning electron microscope, reveal the ash as shattered fragments (shards) of natural glass. The holes in the shards record the presence of gas bubbles in the erupting magma. 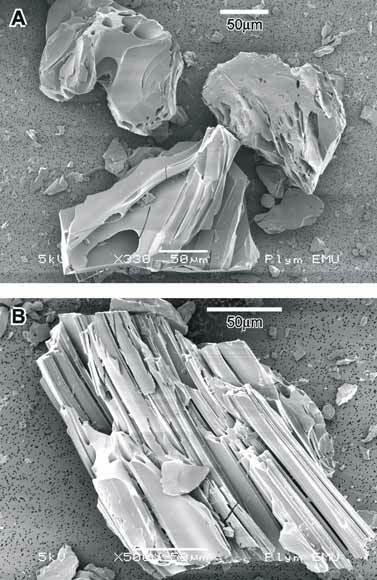 These shards, recovered from a peat bog near Hamilton, are about 0.15 to 0.25 millimetres across, and were erupted from Taupō caldera about 5,000 years ago.